So… today we got news that Iwata-san has passed away. Satoru Iwata has probably been more influential in my life than most any one I could think of in my own life. He was and IS THE Nintendo Direct presenter with his lovely quote ‘Please Understand’.. He joined HAL Laboratories right out of university and then became it’s president in 1983. 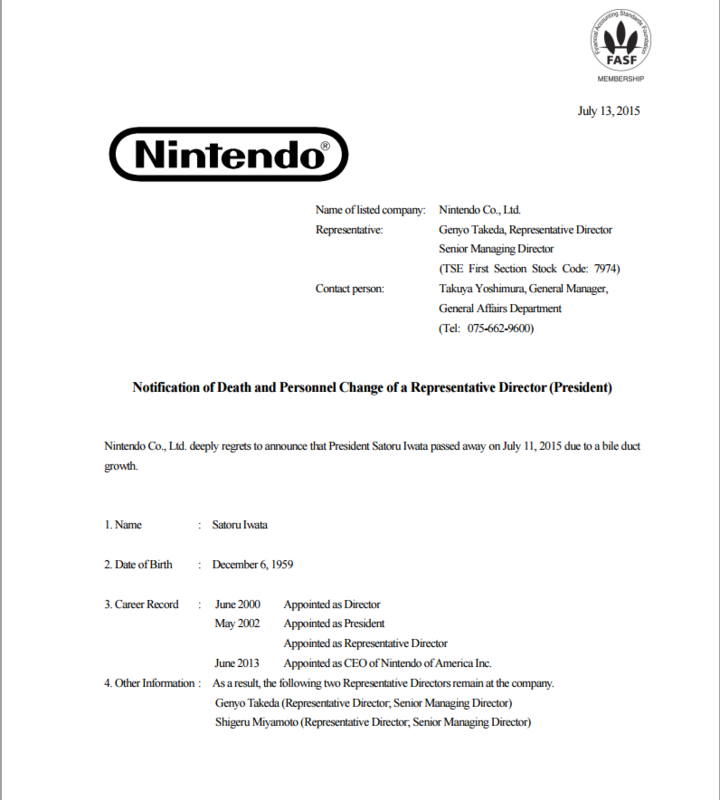 He then joined Nintendo in 2000, becoming Nintendo’s president in 2002. Since 2002, Iwata has done EVERYTHING he thought possible to take care of Nintendo, even giving HALF of his paycheck back to the company. Rest in Peace good sir….. This entry was posted in News and tagged Nintendo. Bookmark the permalink.